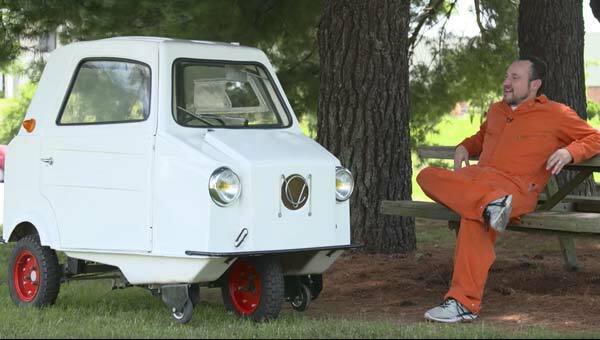 An Evening with Jason Torchinsky of Jalopnik.com- Thurs, August 31st! Join us on Thursday, August 31 for a special event featuring a talk with Jason Torchinsky, Senior Editor of Jalopnik.com. Jason's article What Happened To The Fun Cars was the inspiration for our current exhibit "Fun In The Sun: Playful Yet Practical Cars of the 60s, 70s and 80s." Jason Torchinsky is a writer and artist, and mostly indulges his disturbingly deep obsession with cars, especially in his role as Senior Editor of the popular automotive website, Jalopnik. Jason has written a book, opened for George Carlin as a stand-up comic, written for the Onion, built a giant Atari joystick, raced cars, wrecked cars, and produced many car-related artworks, articles, and talks. Jason grew up in North Carolina, lived a long time in Los Angeles, and is now back in North Carolina, which he's hoping doesn't make him some kind of loser. During the 1960s-80s, convertible utility cars had become very popular with the motoring public. Many manufacturers seemed to share a common design for these cars: take an existing model, strip it down to its most basic components, and market it as “rugged” and “fun”. Most of these jeep-like vehicles had light off-road capabilities due to their increased ride height, but were mostly used as beach cars or urban runabouts. 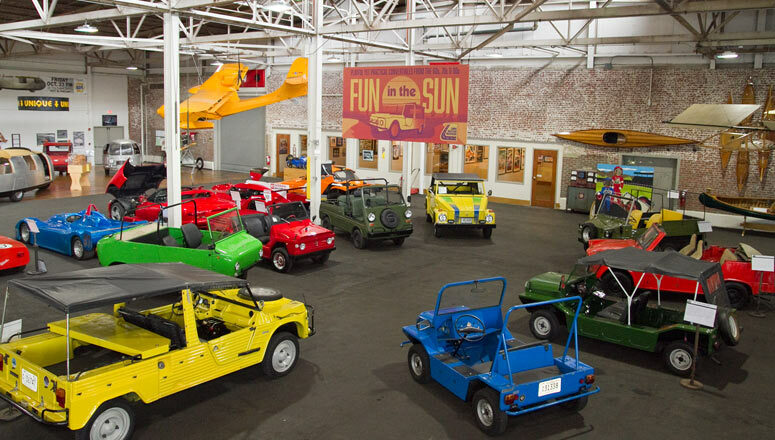 Lane Motor Museum’s Fun In The Sun exhibit showcases some of these cars from a bygone era of disco, denim, and endless summers.